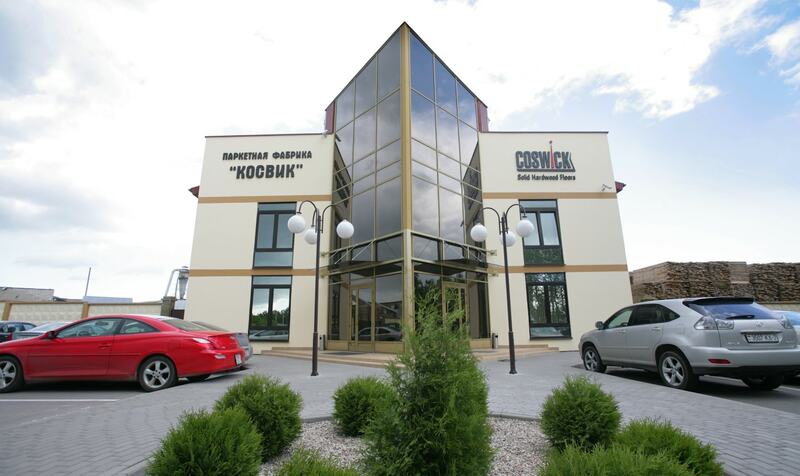 Vladimir Yankovski, the founder and the head of “Coswick” company, speaks on the appearance of Coswick brand name, winning the world market and current growth directions. – How did you choose this business line? – We started back in 1993. Our first move was to trade saw-timber. That was the time when we first encountered the parquetry, its technologies and manufacturing companies. This was just a moment when we realized what the parquetry should look like, as well as its manufacturing. We became very interested in this line of work. When the manufacturing was nothing but an idea, it was clear that the parquet flooring has to be export-oriented. It has to be in the top price segment due to its impeccable quality. We followed this principle all these years. That is why the woodworking was a pure happenstance on the one hand. However, on the other hand, it was the conscious choice based on available raw materials, even though it was not that easy to get them. We believed that we could achieve success in any area concentrating fully on it and seeing the perspective of this area development. That is the reason why we had not a single thought on leaving our work and doing anything else. – What were the major milestones in the company’s history? – The first woodsawing machine was installed in 1995. Today, it takes its place of honor in our museum. The following 20 years in a row were dedicated to the development of technologies and build-up of production output. The development of Canadian market was a big step forward. Since 1999, we created here the full-scale dealer chain and sold almost everything we produced to Canada over the years. Just for the record, we were the first among countries who started to import the solid parquetry to Canada given that this country was considered the top user and manufacturer of hardwood flooring. I remember our first client who later became our dealer. He assembled the sample parquet I brought to him on the floor and dazedly looked at it agelong. He had never seen such easy-to-install and high-quality parquet flooring. Due to the highest quality of our manufacturing process, we managed to settle very quickly in Canadian and US markets. Our exodus to Europe in the mid-noughties was linked to the possible economic downfall in Canada and the United States. Besides, while mastering new technologies of industrial finishing and shifting to designs and decorations, the advanced European market became of a huge interest to us. One of major development stages was the uptake on the manufacturing of three-layer parquet boards in 2006. Thus, it was necessary to choose our own technology and design for a new product. Our goal was not to copy someone’s work, but to develop a product that would not only differ from other competitors, but would be better. We certainly did it: our three-layer parquet board is a distinctive well-known product. Besides, it is very reliable and sustainable. When we underwent certification in Sweden from the patentee of our lock joint, the laboratory experts admitted that they had never seen such an efficient joint. – “Coswick” is more than 20 years old. What would you like to say, summing up the intermediate stage of company’s development? – In 23 years of our work, we finally ended the construction and equipment of our manufacturing facilities. 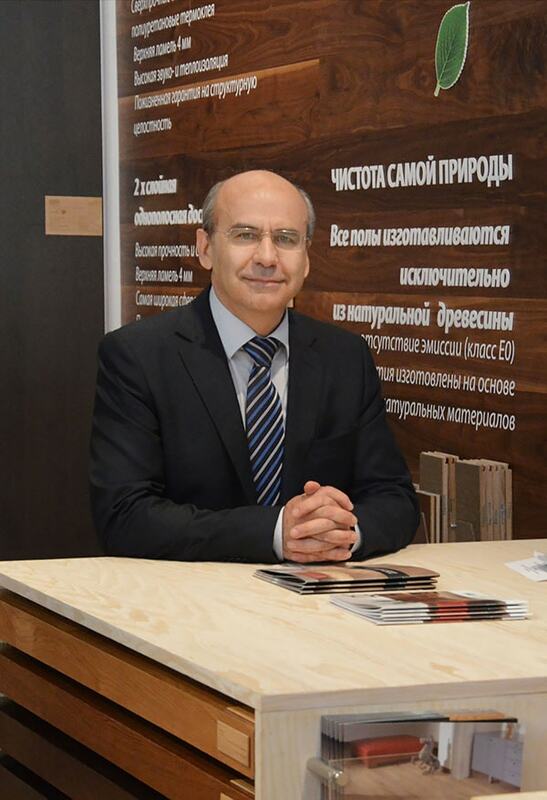 The company employees 520 people, we produce half a billion of square meters of hardwood flooring per annum. Now, it is time for a “qualitative leap”. Today we pay more attention and spend more money on research and development. This year R&D department was created; its main objective is to work on new products and technologies. Our company covers specific directions as, for instance, professional sports flooring and acoustic wall panels; we master thermal processing and artificial staining technologies and extend the range of decorations, styles and formats. We try, as much as practical, to extend the application area of wood, although not exclusively for living rooms, but for public places as well. We achieved the significant result: we got the name and gained the reputation in the world’s industry. This is the reputation of our products that are considered to be of utmost reliability. That is how we got the major projects in this field. Coswick trademark opens us a path to move forward. Finally, this is the company reputation that makes us the reliable and sustainable partner to work with. However, the biggest of our achievements is the creation of a good team of single-minded employees. This team is able to solve the most complicated issues and has a long and very interesting way to go. – What is your expectancy towards the development of the company and the whole branch? – The biggest unsolved issue of the national timber industry today is the provision of local raw materials to in-house manufacturers. Timber processing is a material-intensive industry where the product costs and, therefore, the end product price depend heavily upon the price of raw materials. If manufacturers do not have the access to the guaranteed amount of raw materials on anticipated price, it will lead to the absolute impossibility of sales planning, loss of markets and industry phase-out not to speak of its possible growth. The future of this branch will depend upon the decision taken on that issue. That is one of the reasons why we pay special attention to the technology intensive products. Besides, we wistfully renounce offers on supply of middle-cost products to the famous European retail chains. The present day we deliver our products to more than 30 countries and continue developing new markets, including the farthest ones as China and Australia. We would like to work on all continents not depending upon the economic upheavals. 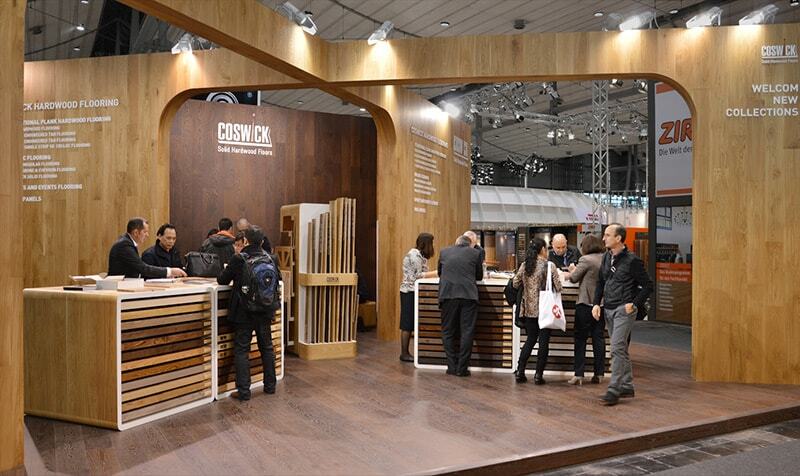 If we speak about the world industry, one can see the sustained growth of interest towards natural wooden materials. This includes not only the hardwood flooring, but also other interior elements that use the natural wood. It allows us looking forward confidently. The rest depends only upon ourselves.